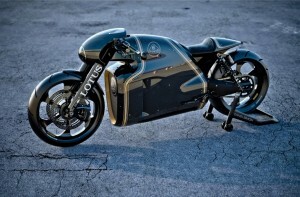 After two years of development, the first photos of the prototype Lotus C-01 high-performance motorbike dropped on Thursday. 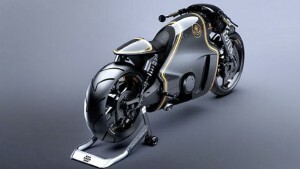 Essentially a Lotus in name only, the 400-pound, 200-horsepower crotch rocket was the product of a design and development team made up of Germany’s Kodewa Performance Motorcycles and Holzer Group and German designer Daniel Simon, famous for his work with Bugatti. Power is provided by a 1.2-liter V-twin engine that produces approximately 200 HP (147 kW). It is connected to a six-gear “jaw-type shift transmission” which should ensure the bike is an absolute rocket. courtesy of a modified version of KTM’s 1,195-cc V-twin engine. The chassis is made up of steel, titanium and carbon fiber, with a seat height of about 28 inches. Its wheelbase, at about 65 inches, is a full 10 inches longer than a real street-legal superbike, and its front end is raked way out in front with a 19-inch wheel. Those dimensions mean we shouldn’t expect much racetrack prowess, unless its rider is only planning on going in a straight line. 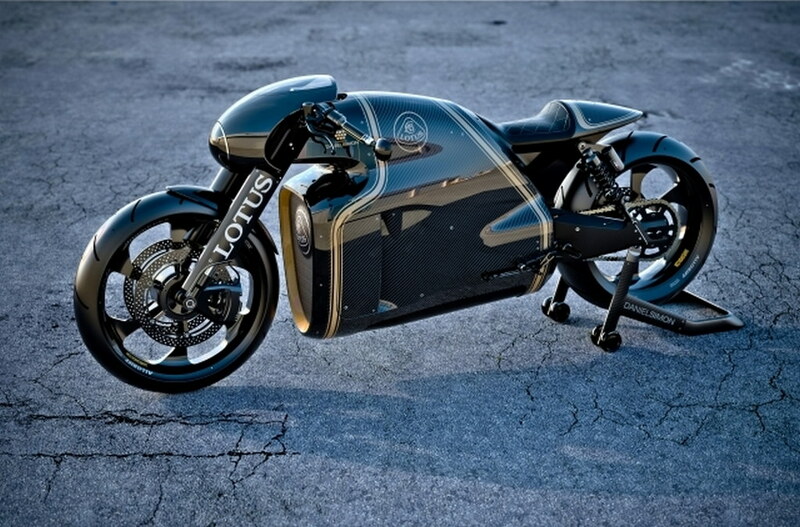 Indeed, with a claimed dry weight of under 400 pounds, the Lotus Motorcycles C-01 ought to be mighty quick down the quarter mile. Despite wearing the Lotus name, the C-01 wasn’t “designed, engineered or produced” by the automaker. Instead, Kodewa licensed the name to add a little prestige to their latest model. Production will be limited to 100 units but there’s no word on pricing.